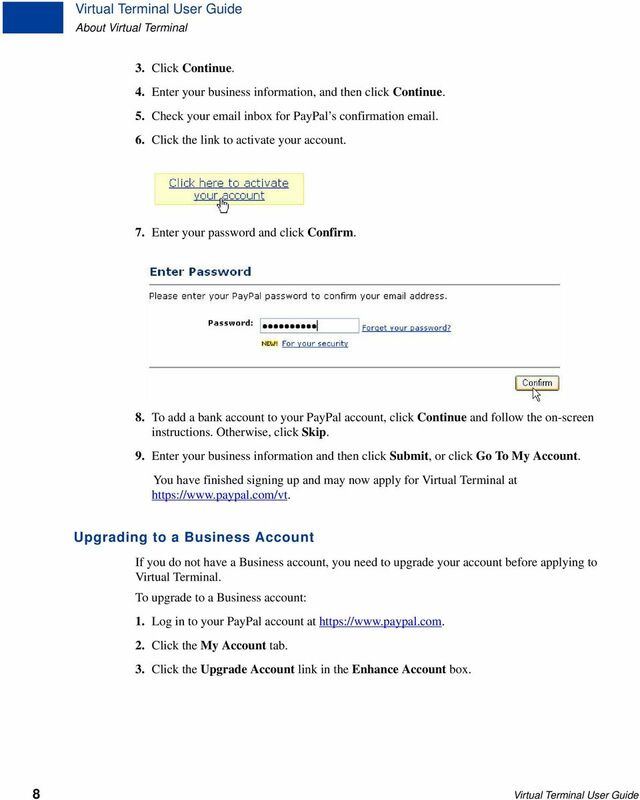 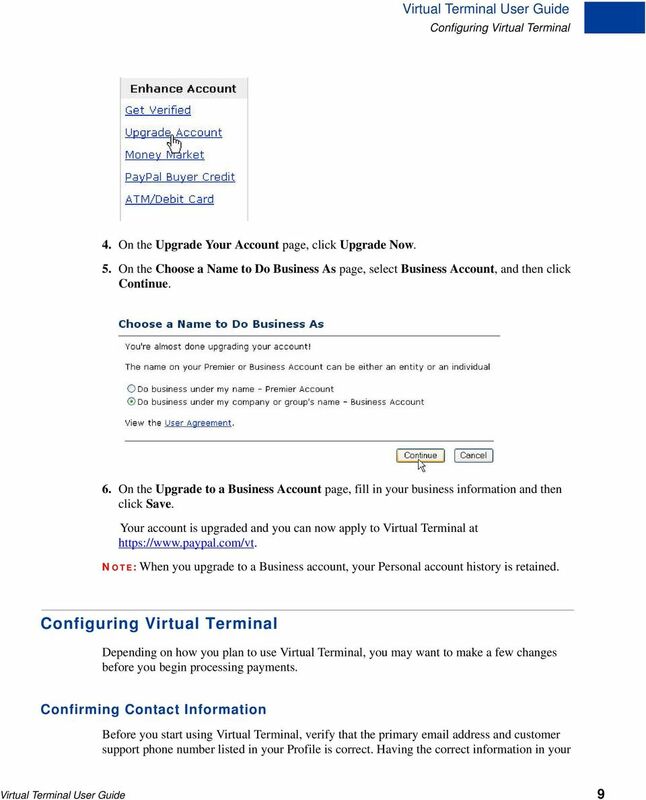 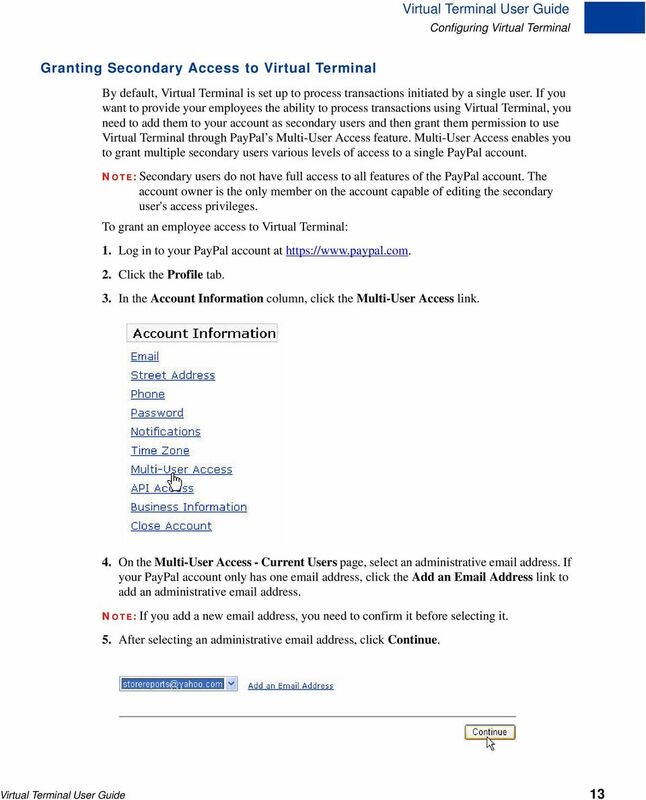 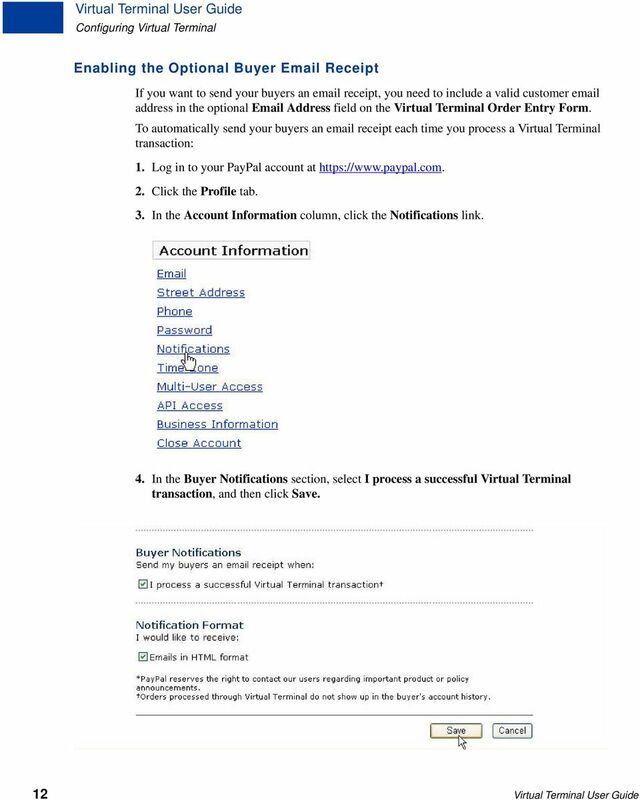 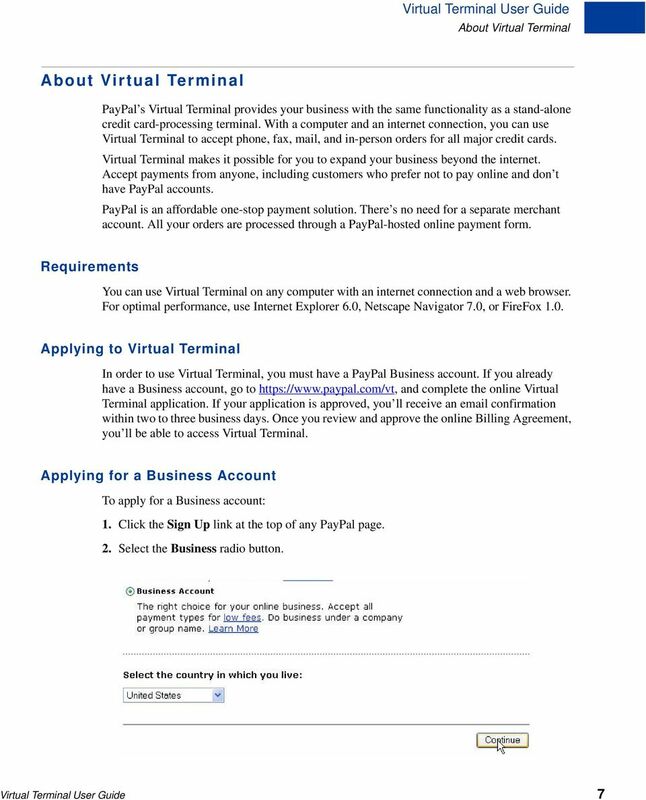 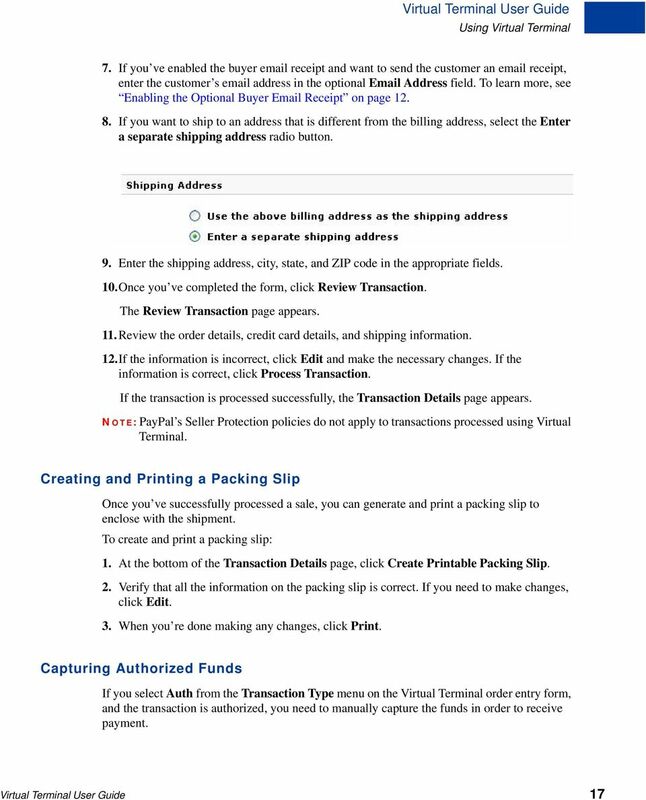 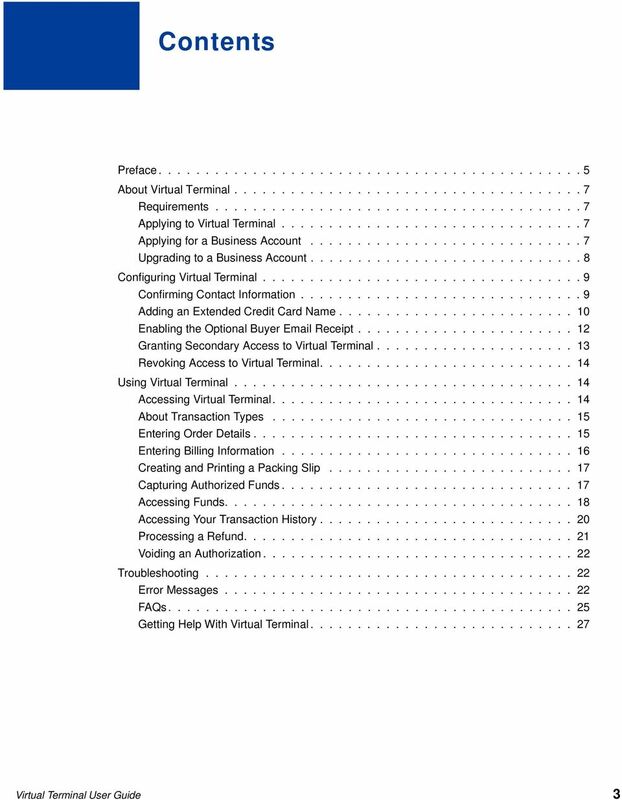 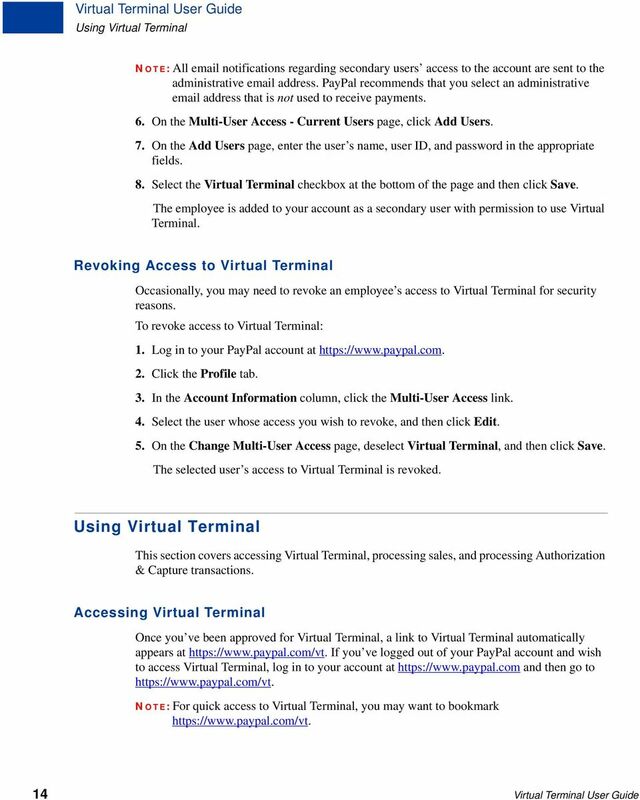 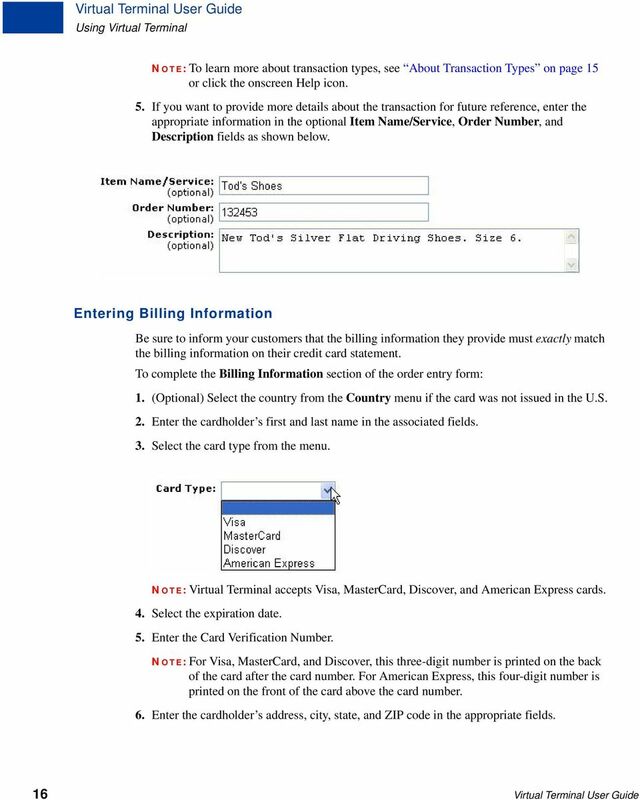 Download "Virtual Terminal User Guide"
2 PayPal Virtual Terminal User Guide 2005 PayPal Inc. All rights reserved. 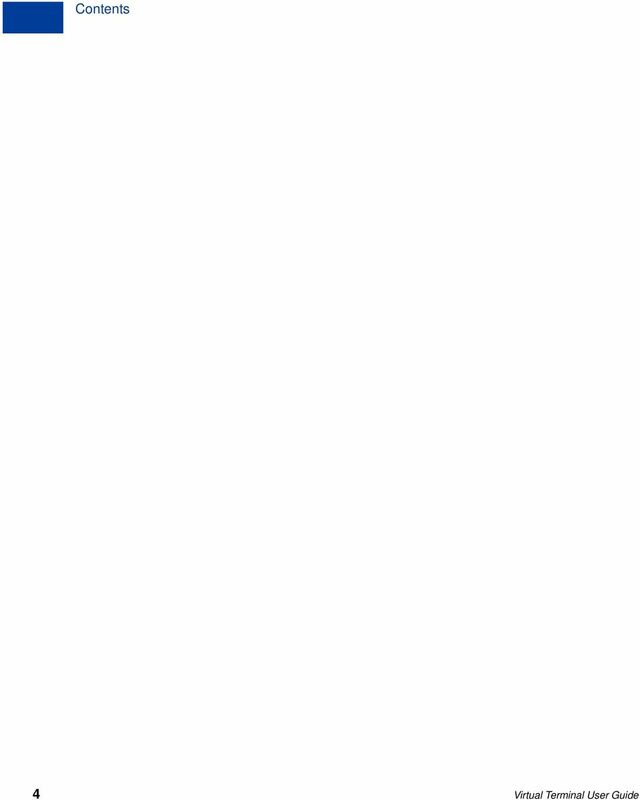 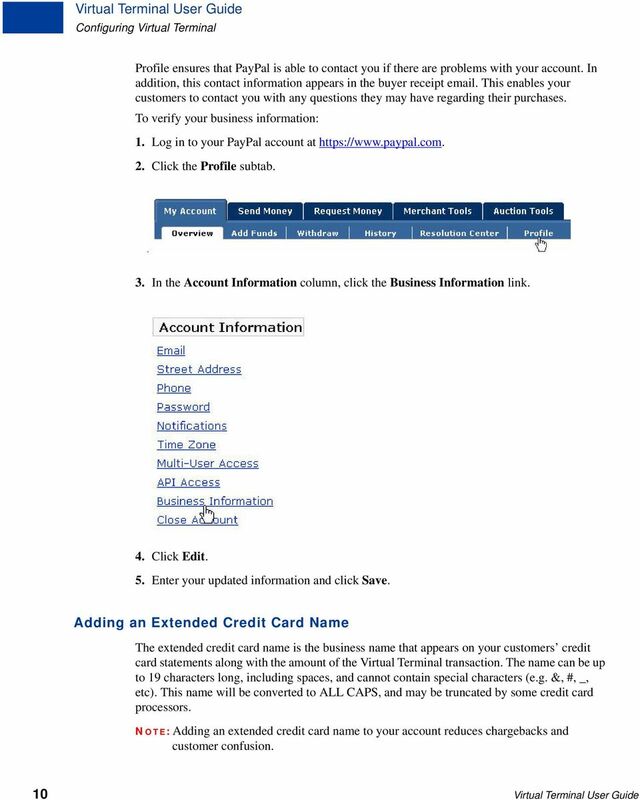 PayPal and the PayPal logo are registered trademarks of PayPal, Inc. Designated trademarks and brands are the property of their respective owners. 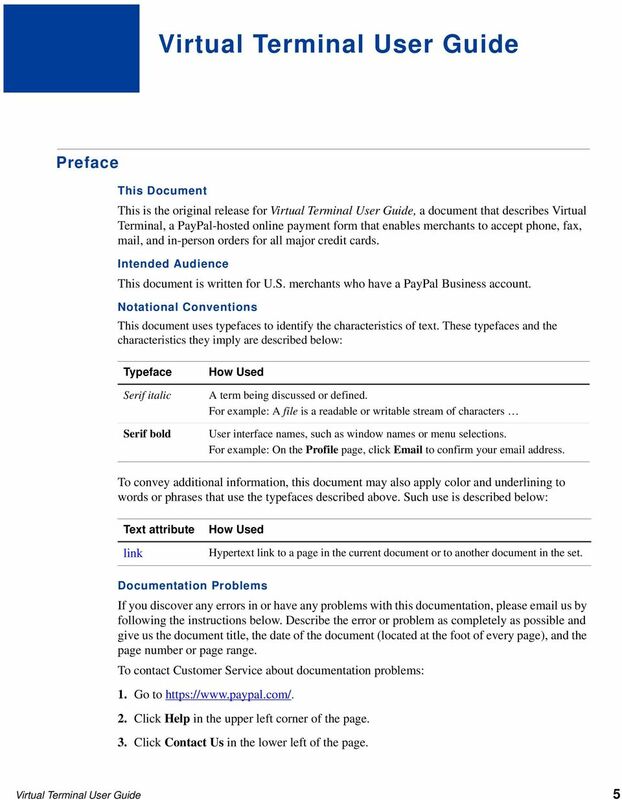 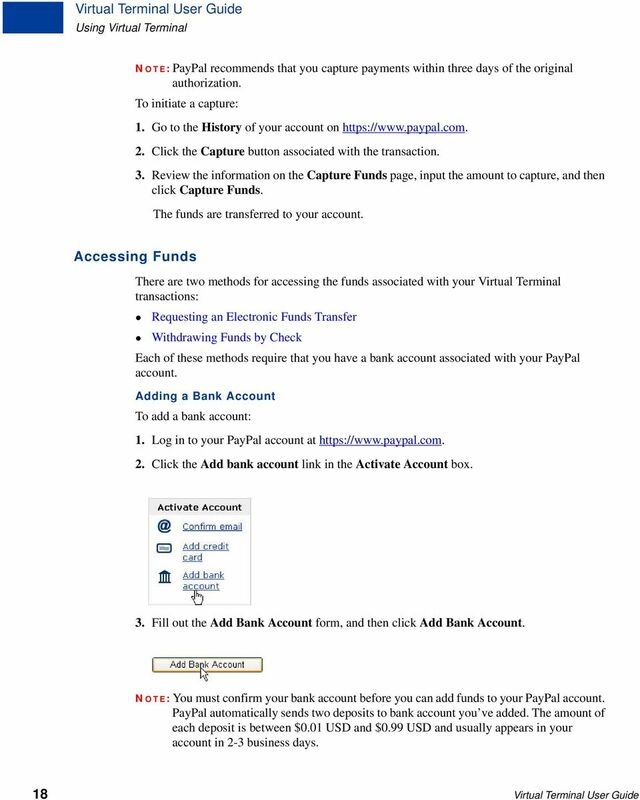 Notice of Non-Liability PayPal, Inc. and the authors assume no liability for errors or omissions, or for damages, resulting from the use of this Manual or the information contained in this Manual. 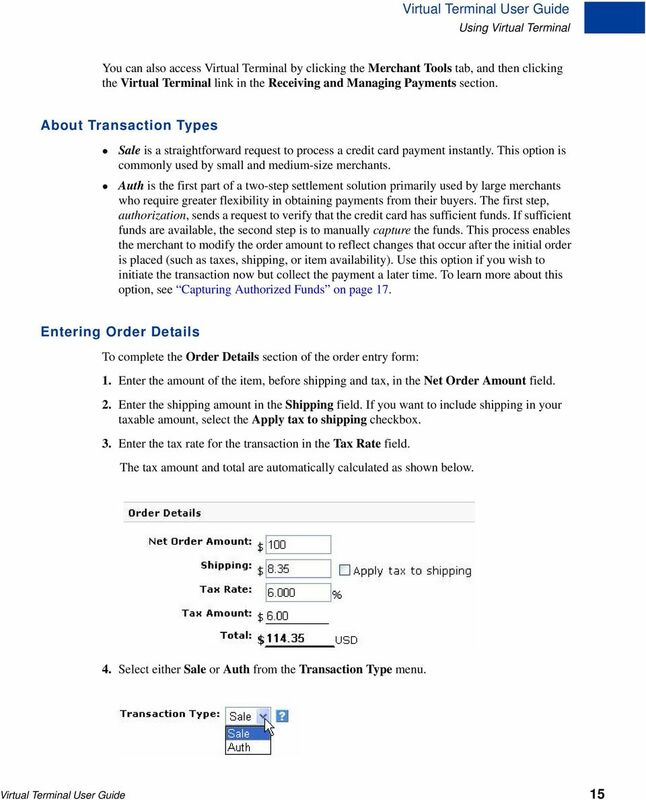 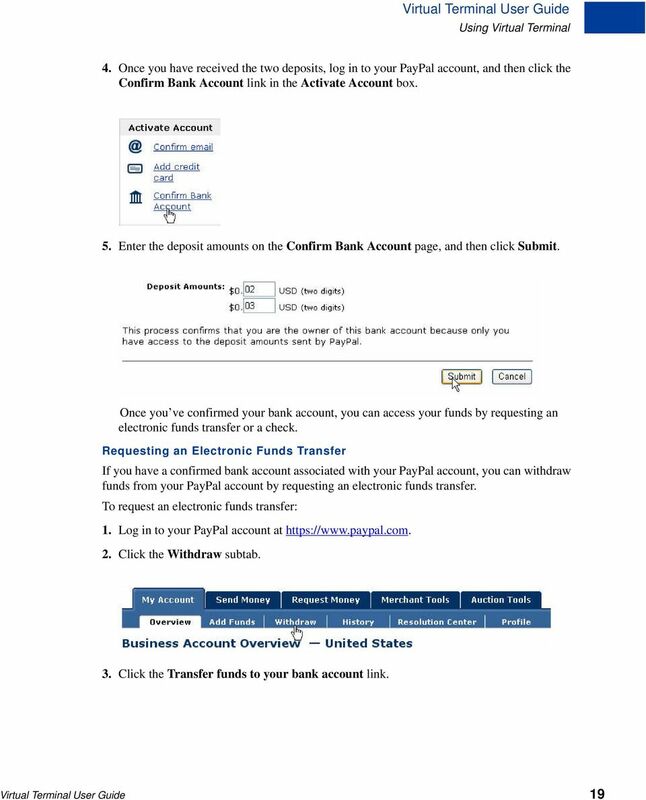 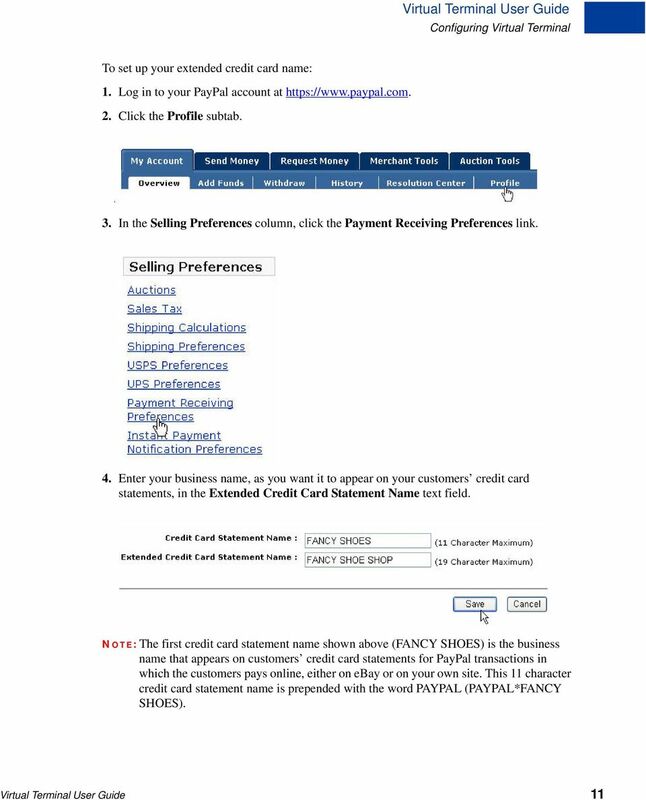 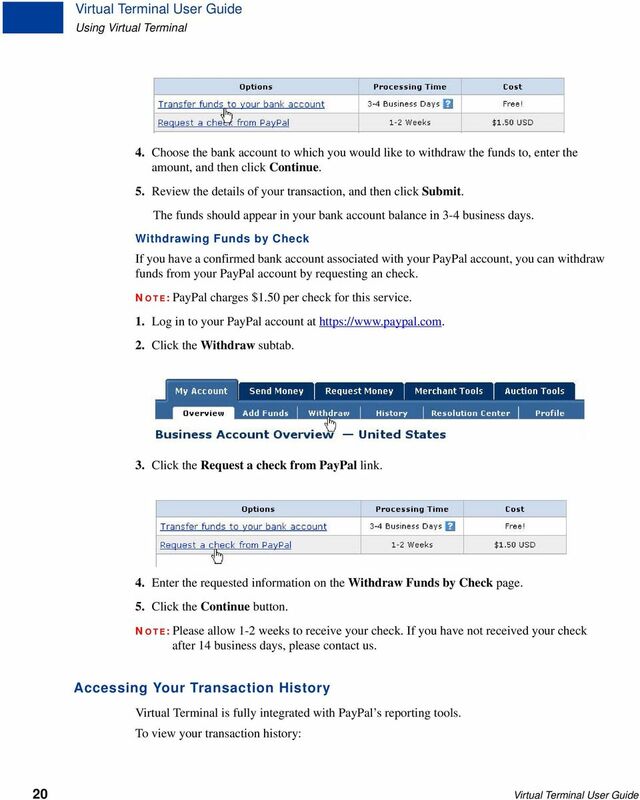 PayPal Website Payments Standard Checkout Integration Guide For Professional Use Only Currently only available in English. 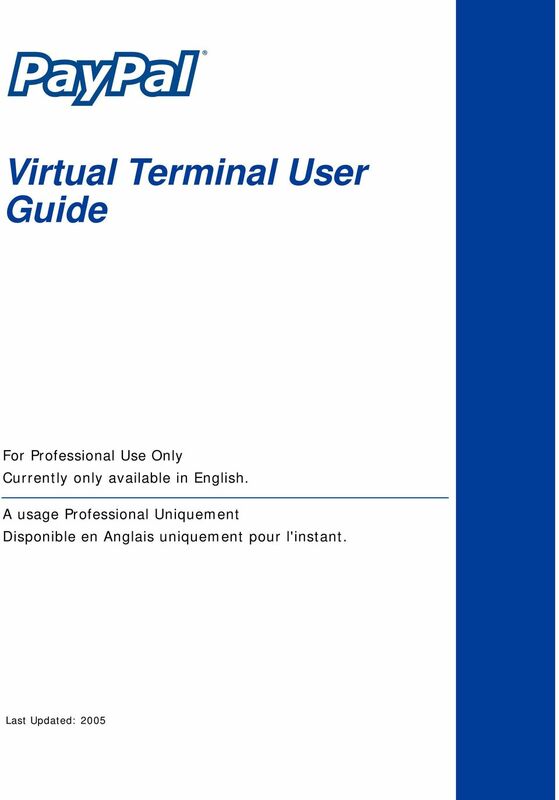 A usage Professional Uniquement Disponible en Anglais uniquement pour l'instant.